How To Get High Without Smoking Weed | Vaping, Cannabutter & More! As marijuana becomes legal in more places, the number of ways to use it has increased. That’s good news for consumers searching for a way to enjoy cannabis without dealing with the smoke and paraphernalia involved with traditional methods. It’s a classic case of the market responding to consumer needs. If you want to get high without smoking weed, consider the following. Vaping involves heating cannabis to a point just below combustion, a process that creates a vapor that can then be inhaled. Fans of vaping argue it provides a smoother, more controllable experience than smoking provides. They must be on to something because vaping has become a fashionable way to get high without smoking weed. For those who want a more refined experience, many companies produce quality vapes. Forbes reported that vaping is driving rapid growth in the sale of concentrates, which has now become a $3 billion industry. Canna cap is a term used for pills that contain marijuana. 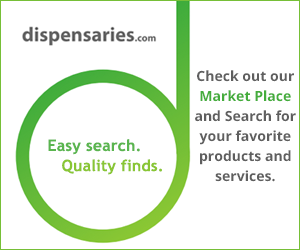 Often associated with medical marijuana, they have become popular with recreational users, too. Why? Canna caps are smoke-free, odorless and – perhaps most important – offer a consistent amount of THC in each pill. As with edibles, the impact of THC also tends to last longer. The popularity of edibles can be traced back to “The Alice B. Toklas Cook Book,” the 1954 book published by Toklas, the life partner of writer Gertrude Stein. It’s one of the best-selling cookbooks of all time. It includes the recipe for “Hashish Fudge” – basically brownies made with cannabis. Today, edibles flood the market in many forms. Gummies remain one of the most popular edible choices. Cannabis-infused drinks, including water, are also very popular. The caution with edibles is to eat a little at a time. The marijuana takes longer to impact your senses when consumed as an edible, so some people make the mistake of thinking that “nothing is happening” and eat more. That’s a sure way to end up higher than you want. People who want the therapeutic powers of marijuana without a strong high are flocking to oils. Oils infused with cannabis – primarily the non-psychoactive ingredient CBD – have become increasingly popular, especially among women. While often associated with pain management, a doctor told CBS News that CBD has been prescribed for migraines, bowel conditions, insomnia, and menstrual cramps. It also can give you a mild, euphoric feeling. Cannabutter is often one of the primary ingredients in cannabis edibles, but it deserves its own mention because it’s so easy to make at home. Many people simple make cannabutter and then use it on toast, giving their meal an extra kick. The recipes for cannabutter are easy to find because it’s an uncomplicated way to feel the impact of cannabis without setting anything on fire. Those are five of the many ways to get high without smoking weed. For those who want a discrete alternative to a smoke-filled room, all are worth your consideration. ← Can You Bring Weed to Michigan From Canada?